Impressively crafted into the form of a flower with exceptional gemstones. 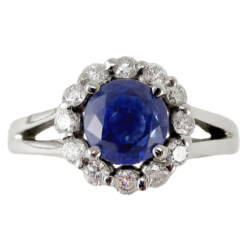 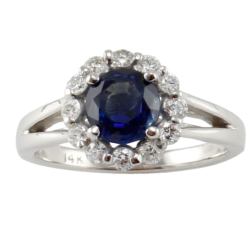 The Round faceted cut Sapphire is a lovely shade of deep blue and is excellent in gem quality. It weighs approx. 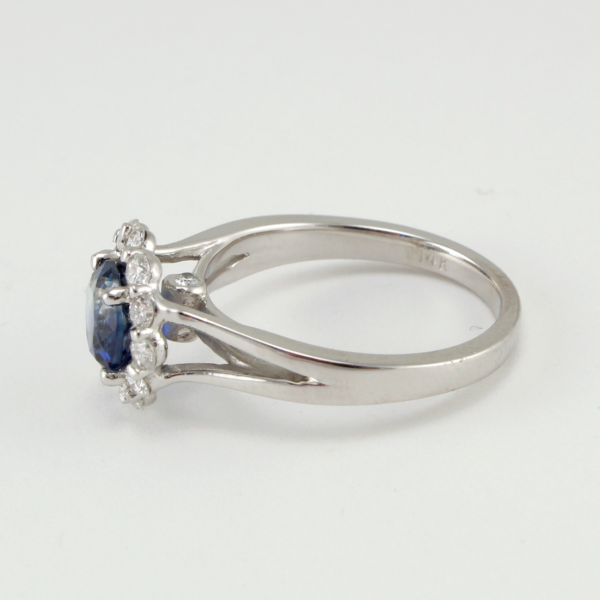 1.46ct (by formula) with 0.60ct of beautifully White, full cut Diamonds. The mounting is made from 14kt white gold and is a very intricate split design with two full cut Diamonds to compliment the work.